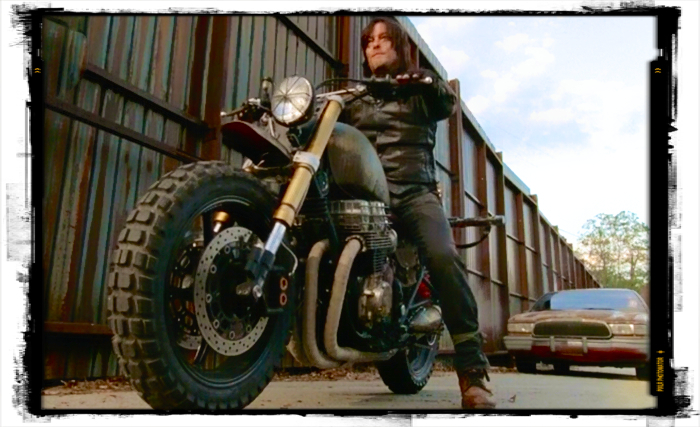 Walking Dead Star Is Set To Anchor Reality Series ‘Ride With Norman Reedus’!!! TV can make the unlikeliest of people stars and sometimes they just reiterate what we’ve known all along and prove to us who the stars really have been the whole time. Nothing shows this more clearly than AMC’s ‘The Walking Dead‘ and it’s star Norman Reedus. 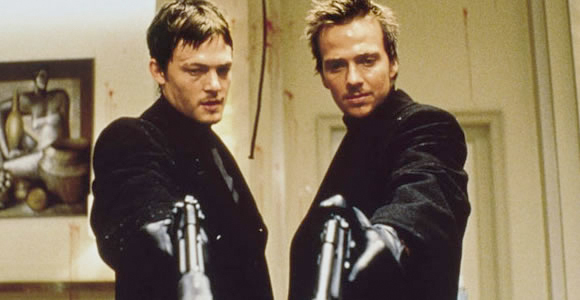 Reedus landed on my radar in 1999 when I first peeped one of the greatest films in the world, ‘The Boondock Saints‘, when he showed the world what a pair of Irish brothers can do when they’re on a mission from God. I’ve been watching Reedus since then through ‘Blade II‘, ‘The Boondock Saints II: All Saints Day‘ and onto TWD and every film or TV role in between, no matter how small. Since Reedus has exploded on TWD as Daryl Dixon seeing him in tandem with a motorcycle has become so much of a norm that I have an action figure of Daryl Dixon with his motorcycle sitting on my desk right this moment, of course, I have one of Dixon with his crossbow, as well, this girl knows how to diversify a collection! Anyhow, AMC is cashing in on that popularity by ordering six-episodes of an unscripted series featuring Reedus exploring motorcycle culture around the country. ‘Ride with Norman Reedus‘ comes from Left/Right Productions and each episode will be a one-hour peek following Reedus and a friend through a tour of a different city on the bikes, checking out bike shops, tattoo joints, bars and restaurants frequented by other chopper lovers. His companions can be anyone from fellow actors and artists to local bikers. The show will hit the air sometime next year. “There is nobody more passionate about motorcycles than Norman Reedus,” said Joel Stillerman, president of original programming and development for AMC and SundanceTV. “He is an avid rider and aficionado who is deeply immersed in motorcycle culture. There is also nobody more fun to hang out with. This show will bring those two elements together for a weekly ride into the incredible world of motorcycles and the people who live and breathe them.” “I’m incredibly excited and thankful to AMC for giving me the opportunity to share a passion of mine with our fans, and hopefully a whole new audience. I had a lot of fun filming and exploring, and I hope it shows,” said Reedus. 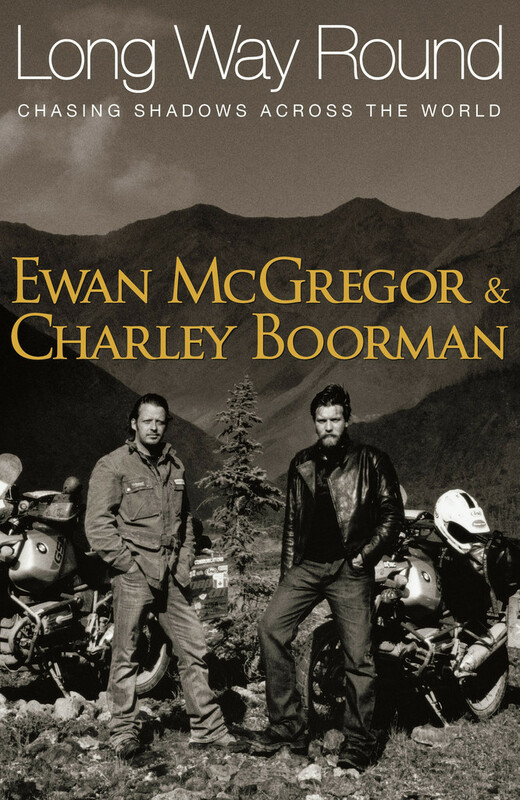 If you can’t wait to see an actor travel on a motorcycle having random adventures, check out ‘Long Way Round‘ and the pseudo-sequel ‘Long Way Down‘ featuring Ewan McGregor and his best friend, fellow actor Charley Boorman, and their plan to take a motorcycle from London to New York, the long way round. It aired as a mini-series and there might have been a book made to highlight some of the best parts that I may or may not (I do) have in my collection. It’s a fantastic peek into the reality of McGregor’s every day life, he randomly breaks out into song, quotes ‘Star Wars‘ lines at amazingly perfect times. It’s a fantastic slice of life in McGregor’s and Boorman’s lives, entertaining as hell and makes you feel like you traveled the world on a bike after a few hours watching. This entry was posted on Thursday, October 29th, 2015 at 12:03 pm	and is filed under Film, News, Television. You can follow any responses to this entry through the RSS 2.0 feed. You can skip to the end and leave a response. Pinging is currently not allowed. « WWE: Raw 10/26/15 Recap!! Hell In A Cell Fall Out!! I can't believe I woke up this morning wondering if my Daddy would loan me his overcoat, and here it is just past midnight and I've already robbed a railroad train and I'm sitting in a rocking chair chatting with none other than Jesse James. Yeah, it's a wonderful world. [reaches into his pocket and removes a newspaper clipping] Oh, what's this? I was real agitated this morning, wondering if I'd be able to tell you and Frank apart. So I had the clipping that described you both. You want me to read it? Well, yeah. Then it's 'Frank, Frank, Frank... ' You know what I've got right next to my bed? The Train Robbers, or a story of the James Boys, by R.W. Stevens. Many's the night I've stayed up with my mouth opens and my eyes open, reading about your escapades in the Wide Awake Library. They're all lies, you know.